Thank you for your interest in our free end-of-life planning guide. We hope you find this workbook to be a helpful tool, whether you’re planning for the near-term or the distant future. 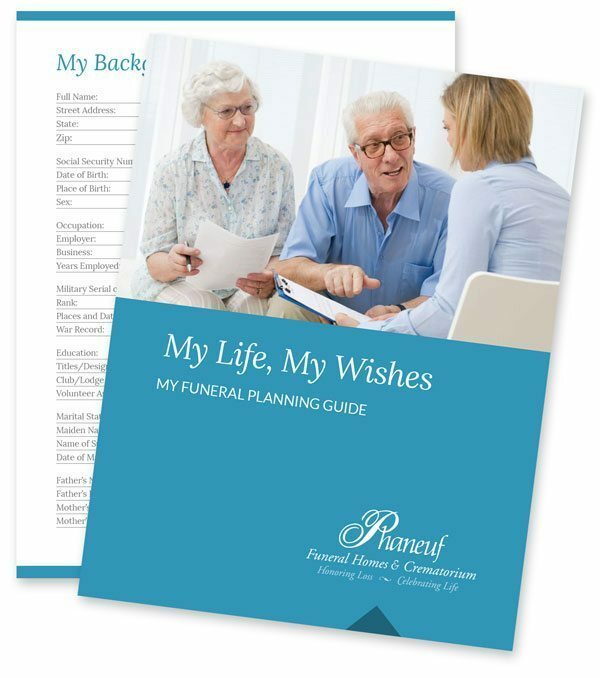 This free planning booklet helps you compile a variety of critical information that is often necessary when planning your final wishes. You can fill out the workbook online and either print or save the guide to your computer; or, you can print it out and fill it in by hand. This workbook is a good place to consolidate important information, special instructions to loved ones, a detailed life history, funeral wishes and important documents for easy access. To access the workbook, please fill out the short form below.